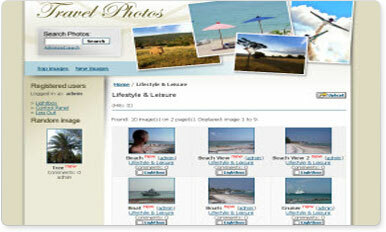 4images gallery is a powerful web-based image gallery management system. Features include comment system, user registration and management, password protected administration area with browser-based upload and HTML templates for page layout and design. By using the integrated template system the design and layout can be customized easily. 4images gallery is multilingual: an external language file can be used for translation in other languages.